Welcome to Village on the Green, one of the most popular 55+ communities in Nanaimo. The development has a gate at the main entrance giving that extra piece of mind with regards to security and also has a large 2 storey clubhouse which has numerous functions for the residents. 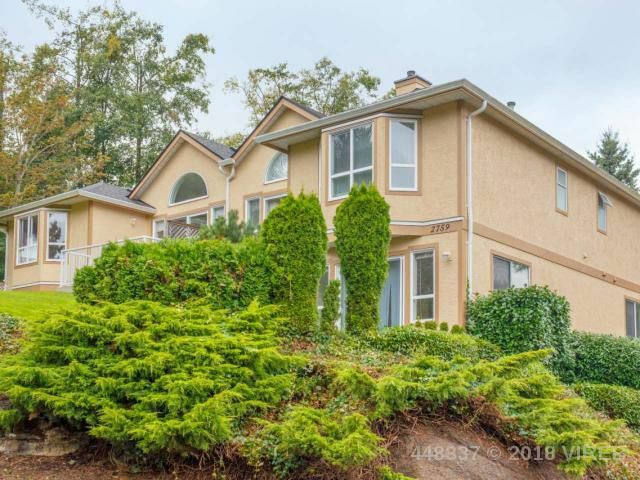 Located in beautiful Departure Bay you are not far from the beach, transit, shopping and the development is located adjacent to Nanaimo golf course. This is a larger patio home with the bonus of a lower basement level with a family room, half bathroom, two rooms that could be used as offices, craft rooms or extra bedrooms. There is also a large unfinished room which would make an ideal workshop or extra storage for those downsizing from larger homes. The main level consists of the good sized kitchen with space for an eating nook, open plan dining/living room, master bedroom with ensuite and walk in closet and 2nd bedroom. The laundry is also located on this level.